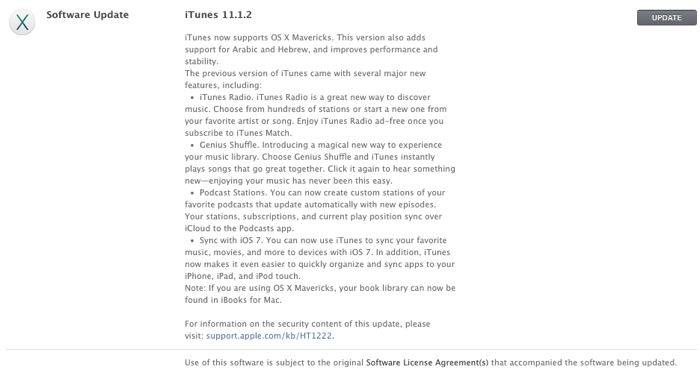 Apple has released iTunes 11.1.2 for download to bring support for OS X Mavericks. It also added support for Arabic and Hebrew plus brings performance and stability. Click here to download iTunes or find it via Software Update on your Mac.